Many people are being moved by emotional stories and seduced into accepting another Jesus rather than the Jesus of the Bible. Sadly, even Christians are being deceived into this false message about God and embracing an all-inclusive counterfeit Christianity that draws in fans but distorts the Bible. 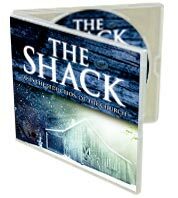 How does the Bible compare to William P. Young’s characters in The Shack? Learn the truth in this one hour message! Emergent Church leader Rob Bell has created a firestorm with his new book, Love Wins, with what many believe to be heretical views on God, Christ, salvation and hell. According to Bell, hell is merely an emergent purgatory where “pruning” and “correction” take place. Learn how Rob Bell is deceiving the masses with his universalist “everyone eventually gets into heaven” heretical doctrine and why it is so dangerous. 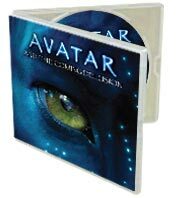 A three part audio series exposing how the movie Avatar, Hollywood’s biggest blockbuster of all time, is conditioning the masses to accept end time deceptions. Newly updated in 2011, this series discusses the consequences of not standing with Israel. The Lord promises that He will bless those who bless Israel and curse those who curse Israel (Genesis 12:3). Time after time we have witnessed natural disasters immediately following decisions made against Israel’s best interests. Coincidence? Or is God keeping His promise? Once again they teamed up with Grammy® Award-winning engineer, John Jaszcz (www.theyoshman.com), who put his finishing touches on each and every song at The Bennett House in Franklin, TN. There are 16 tracks in all, well over 1 hour of music! And just like “Enter In,” proceeds from every sale of “In Your Presence” goes directly to Blessed Hope Chapel’s building fund and the various ministries supported at Blessed Hope Chapel. 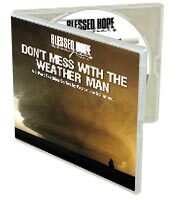 No worship collection is complete without this latest release from Blessed Hope Records & DT4JC Music Company. Order yours today! For a complete track listing, to listen to samples, or to buy individual songs, visit the iTunes Preview Page for In Your Presence. 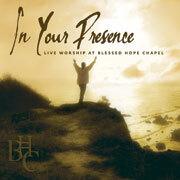 Dean and Tony Palacio, worship directors at Blessed Hope Chapel in Simi Valley, CA, produced and recorded this debut live worship album featuring 13 songs of contemporary Christian praise and worship. It was mixed by Grammy® Award-winning engineer John Jaszcz (4-Him, Point of Grace, Kirk Franklin, and more…) in Franklin, TN. The result is a spirit-filled CD of praise that will stir up the soul for Jesus! Enter in to the presence of Almighty God and praise Him as you listen to powerful praise music released in the true spirit of worship. The Blessed Hope Chapel Praise Team bring you fresh new versions of some of today’s most popular praise songs, plus two brand new original songs written by Blessed Hope’s own Dean Palacio! Proceeds from every sale of “Enter In” go directly to Blessed Hope Chapel’s building fund and the various ministries supported by Blessed Hope. Chapel. 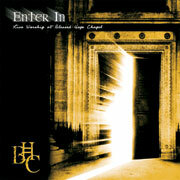 Add Enter In to your worship collection with this debut release from Blessed Hope Records & DT4JC Music Company. Order yours today! For a complete track listing, to listen to samples, or to buy individual songs, visit the iTunes Preview Page for Enter In. Please note: iTunes has “New Age” listed as one of the genres for this CD. This is an error.